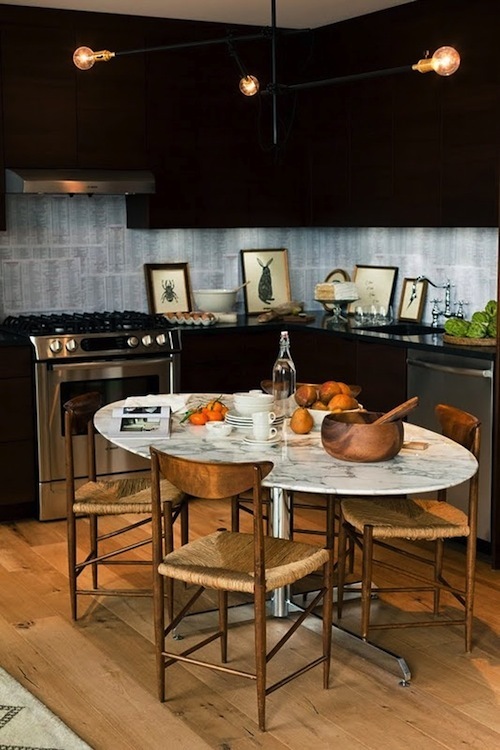 If you're a city dweller, like me, odds are you have a tiny, pitiful excuse for a kitchen. 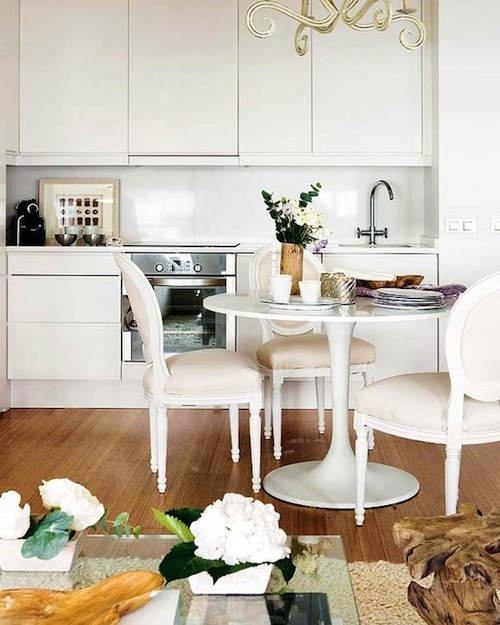 I'm here to tell you that even these small kitchens can be transformed into super stylish spaces. If you're a renter, try adding some fantastic vintage finds or go for pops of color in your dishware, countertop appliances and other kitchen accessories. If you own, think about upgrading your lighting fixtures, flooring or cabinet hardware. 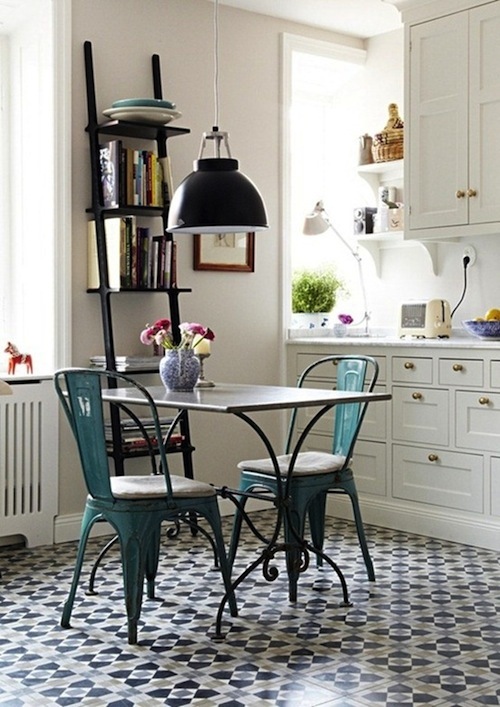 If you'd like to go all out, you might try a daring paint color on the walls or cabinets.